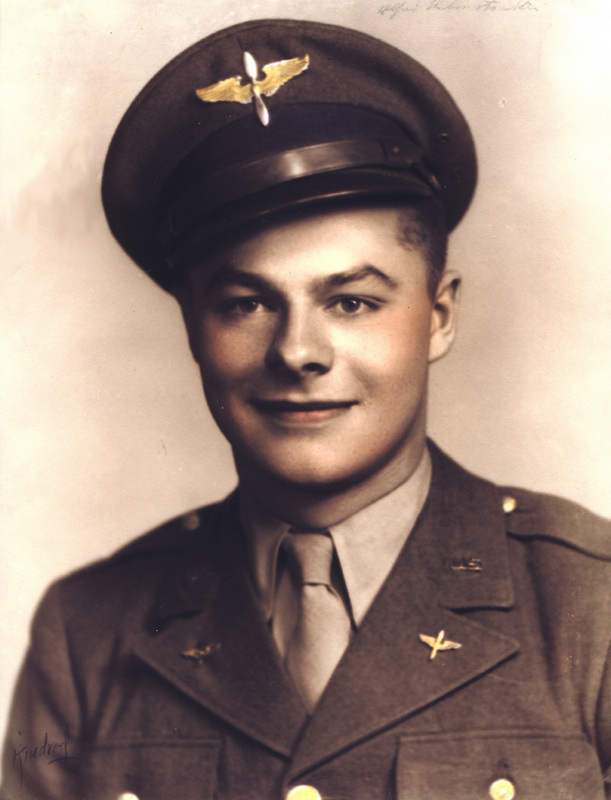 A Denver resident, father of four, and grandfather of eleven, Carl ‘Al’ Helmstaedter served honorably in the United States Army from January 1943-February 1946. Al was in the 342nd Regiment, 3rd Battalion, Headquarters Company. Mr. Helmstaedter served in Europe, from Aachen to Cologne crossing the Rhine to Ludenscheid, Attendorn, and Siegen. Headquarters Company then went south attached to the 3rd Army crossing the Danube to Bavaria. All in all, seven rivers were crossed. At last, the army reached Salzburg where the war ended in Germany. The 3rd Army released 15,000 Allied prisoners from Nazi imprisonment and captured enemy forces. In addition, natural water barriers in the Altmuhl, Danube and Isar Rivers were reduced. At Ingolstadt, Corporal Helmstaedter was the lead wire man in establishing communication (telephone), while under hostile machine-gun fire, in pitch black darkness across the bridgeless Danube. For this heroism, Al and his fellow soldier both received Bronze Stars. Finally, Headquarters Company was one of the first combat troops to leave Europe. After a 30-day furlough, they were shipped to the Philippines just outside Manila and awaited orders to assault Japan. Fortunately, World War II ended and Al, along with other men and women, impacted history forever.